Remove the intake chamber from the backside of the intake manifold. Remove the clutch hose and the clutch operating cylinder. In this procedure it is not necessary to remove the master cylinder, the clutch pipe bracket. Replace the clutch hose and the clutch operating cylinder with new parts as listed below. Note that two pieces of gasket (P/N 114130151) used on the connector of the operating cylinder must be replaced with new ones when replacing the clutch hose.Tightening torque of the bolt is: 37 ±3 Nm (27 ±2 ft. lbs). Bolt the operating cylinder onto the transmission. Bleed the air from the system. Remove the clutch operating cylinder hose. In this procedure, the clutch master cylinder, clutch pipe and bracket are unnecessary to be removed. Replace the clutch hose that was removed with the new one listed below. 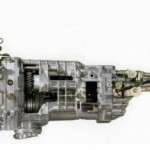 Note that two pieces of gasket (P/N 114130151) used on the connector of the operating cylinder must be replaced with new ones when replacing the clutch hose.Tightening torque of the bolt is: 37 ±3 Nm (27 ±2 ft. lbs). 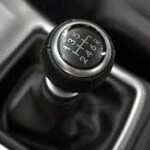 Insure there is no leakage from the line, check whether fluid leakage occurs after the clutch pedal has been fully depressed. 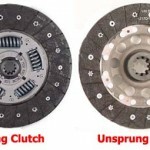 Check whether the clutch performs normally.